D.T. ELECTRICAL SERVICES was established in 2003 by Dino Tzavaras. We are a customer-oriented company with a reliable reputation for delivering quality, professional electrical services to our customers both large and small. 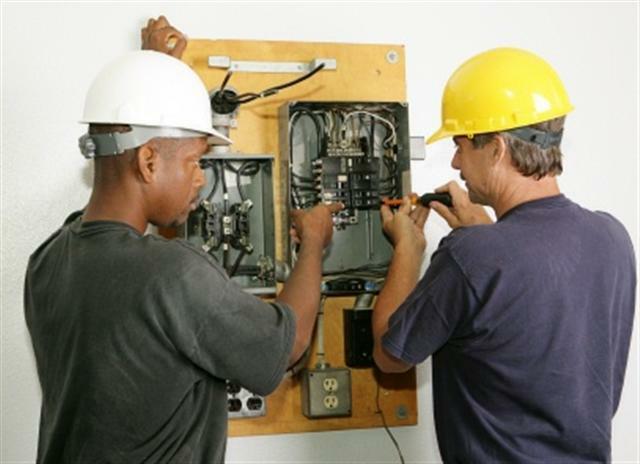 Our goal is to provide the best electrical service for our customers whenever quality electrical service is needed. We always answer our phones, 24 hours a day, 7 days a week. Throughout the years we have been able to assemble a dedicated team of professional electricians committed to providing you, our customers, with high-quality service and installation. Our employees are trained, experienced and knowledgeable in troubleshooting, repairing and installing all manner of electrical equipment, power and service. There is never a need to worry who’s knocking on your door. All of our men are dressed in uniform and easily identifiable for your protection. We are proud of our company, our employees and the service we’ve delivered over the years.